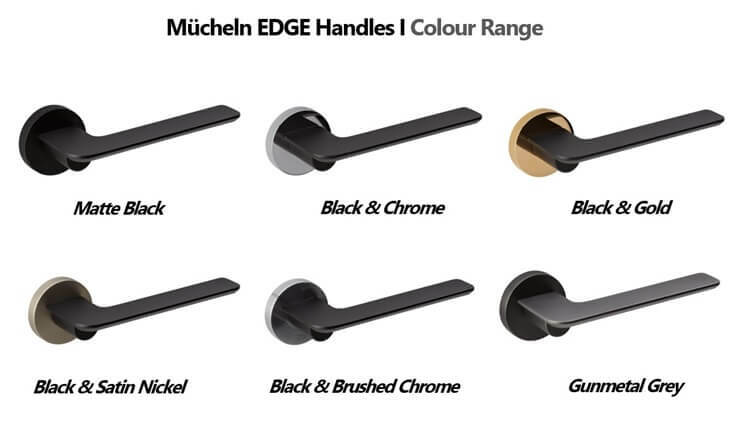 This is the GUNMETAL GREY Mücheln EDGE Door Handle. We offer this style in multiple functions e.g. Entrance, Passage, Privacy and Dummy This is for the ENTRANCE function. The other functions are available for purchase in the door handle product category here. - Tube latch for Privacy and Passage (mechanism the handles connect into, inside the door), Mortice lock and keys for Entrance handles.